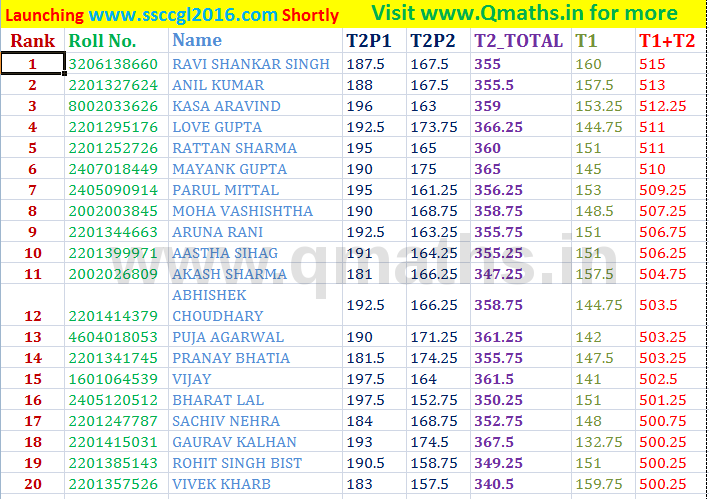 First of All Qmaths Congratulates SSC CGL 2015 Topper Mr. Ravi Shankar Singh for his outstanding performance in SSC CGL Exam. 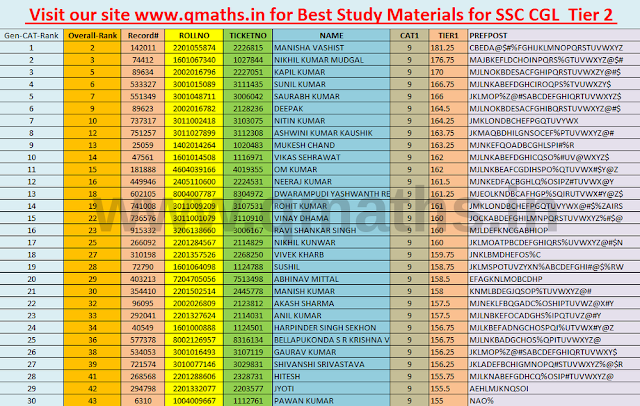 The Second Topper of SSC CGL 2015 is Aruna Rani, and the third topper is Moha Vasistha, Qmaths Congratulates all toppers and all successful candidates of SSC CGL 2016 Exam. 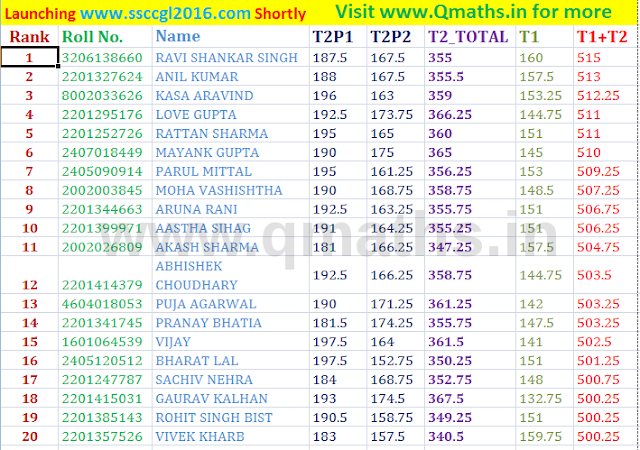 And for those who didn't make this time, SSC CGL 2016 is your target, and we at Qmaths will help you on this. Keep Visiting our Website and Facebook Page /Facebook Group for latest updates.